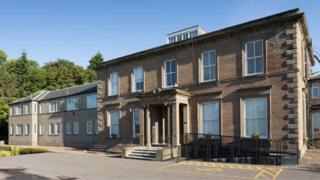 A private hospital in Dundee will close in May due to falling numbers of local people with private insurance. Fernbrae Hospital in the west end of the city currently employs 25 clinical and 25 non-clinical staff. A consultation period is under way, with options including possible redundancy or relocation to one of Fernbrae's sister hospitals. The hospital, which is run by BMI Healthcare, includes 15 beds, a theatre, and seven consulting rooms. The hospital said it would "complete as many care pathways" as possible for patients with scheduled operations and would be contacting all patients in order of appointment. New patients awaiting a first consultation appointment will be told their care will transfer elsewhere. A BMI Healthcare spokesman said: "Our focus now, as it has always been, is on the delivery of safe healthcare. "We need to make sure that we look after our patients and equally support our staff as they consider their own next moves."